STRATEGISTS. CHANGE AGENTS. TRUSTED ADVISORS. 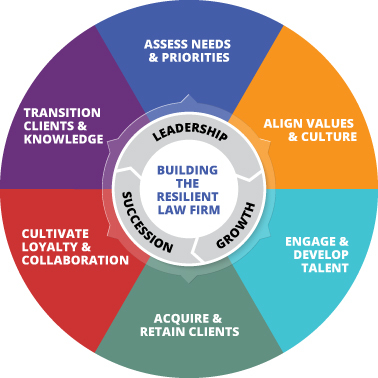 RainMaking Oasis is a legal management consulting firm that helps law firms address the complex management, organizational and talent challenges they face today in order to build and grow resilient, sustainable and profitable law firms. We are known for our market-driven, strategic approaches to assessing issues and opportunities and helping to design and execute effective solutions and programs across a broad spectrum of management areas. Our multidisciplinary team advises firms on leadership, succession, business development, client acquisition and retention, cultural alignment, talent development and practice management.